Data Science, data engineering, and machine learning jobs continue to rank as some of the most sought after and highly paid jobs on the planet, according to Thinknum. However, finding the right job is more important than ever. This may be a lucrative field, but many quickly find that landing your first or next data science gig is harder than expected. Even already-established data scientists may have difficulty getting the higher-paying job they deserve, or the managerial position that they’re ready for. These more-advanced jobs also demand that you’re not just a good data scientist, but that you’re also well-rounded and versatile, and have plenty of soft skills to complement your technical knowledge. Let’s not forget that you need to be expanding on your knowledge of frameworks, models, languages, and so on. 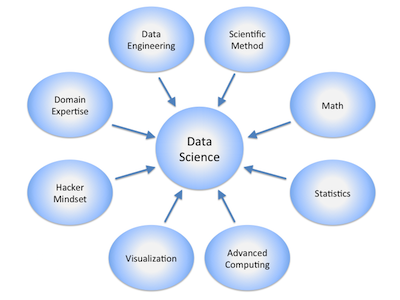 Thus, anyone looking to enter or expand on their data science career path needs to have an actionable plan. This includes both your career path itself and the learning path you need to make you a stronger data scientist going forward. 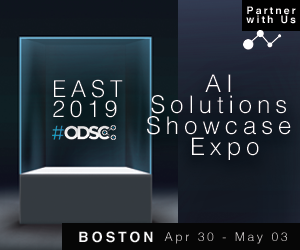 The ODSC East 2019 Career Expo is more than a career fair. It’s an expo to help you explore your career path as well as your learning path. 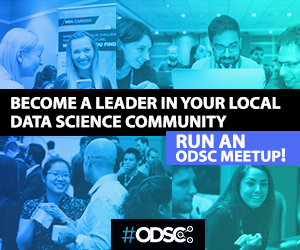 What will I learn at the ODSC Career Expo? Beyond networking with hundreds of other data science professionals, meeting hiring managers of household-name organizations, and working on your resume, there are a few talks that will help you learn more about careers in data science. In this session, we’ll take an aerial tour of data science’s major subfields and explore strategies for acquiring skills in each of them. Most importantly, we will talk about how to choose where to invest your limited study and development time. By the time we are done, you will have a better map of the data science territory and feel more comfortable charting a path that is both satisfying and professionally rewarding. In this talk with Caitlin Peloquin, Financial Advisor at Ameriprise, you will learn about a topic that isn’t discussed as much as it should be – work-life balance! She will cover everything from better understanding your (future) company’s benefits, factoring physical and financial health, and overall financial evaluation. What if you aren’t already a data scientist, and Google just isn’t cutting it for finding out the information you need to make that transition? Here, David will help you figure out your route to your first job in data scientist, whether you’re a student preparing for post-graduation plans, or someone already mid-career and looking for a change. He will help you define the target outcome by discussing the different flavors of data science roles that exist, and then work backwards and discuss the concrete things you can do to get to that goal. Clearly communicating complex material is what will differentiate you as a data scientist. In this talk, Kristen will cover models she’s built throughout her career, and how she could have more effectively communicated with her stakeholders to build trust and establish herself as a thought partner. Leveraging these communication skills, you will discuss how to tackle some of the most popular behavioral interview questions for data science positions. Over recent years, data mining competitions have gained a good amount of interest and attention. This might be partly due to seemingly lucrative prize money – 1 Million for the Netflix Prize and 3 Million for the Heritage Health Prize along with a good amount of stardom. In addition, companies increasingly use Kaggle as a hunting ground for talent extending job interviews to the highest ranking submissions. So, how can you use these platforms to showcase your skills and get your first data science job, or to prove you’re a master and get that next job? What jobs can I expect to learn about? 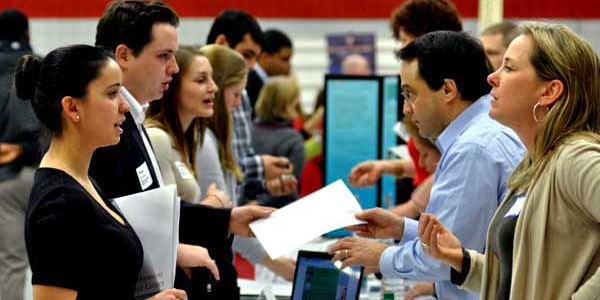 This wouldn’t be a career expo without some awesome organizations attending, right? Here are a few that will be there with more to come. These are just a few of the jobs that you can apply for. There will be plenty more in-person with the chance to interview on-the-spot. Ready to attend? 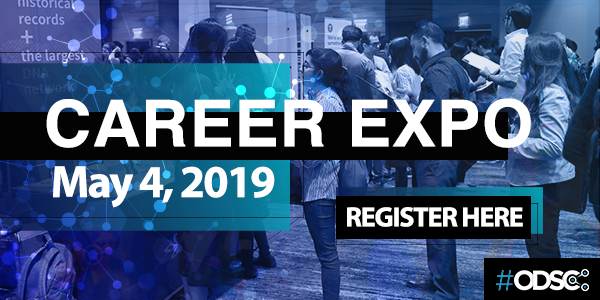 Register now for the Accelerate AI Career Expo in Boston from May 3-4 and take your data science career to the next level.